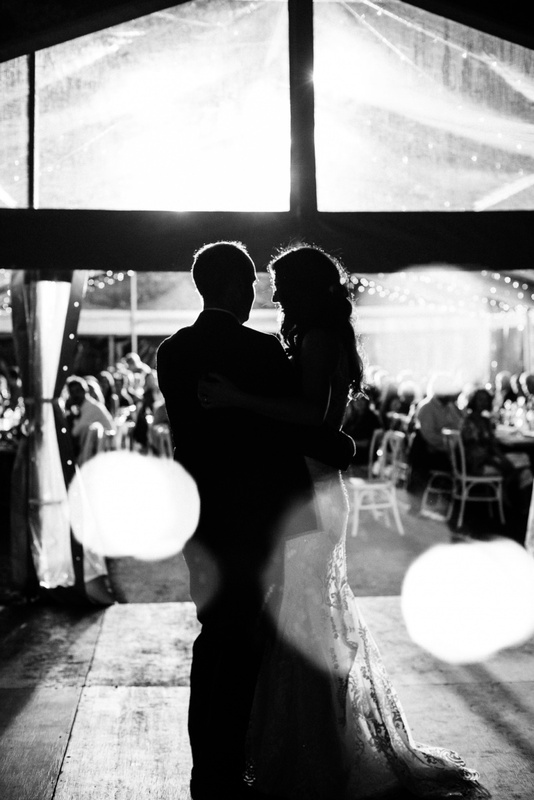 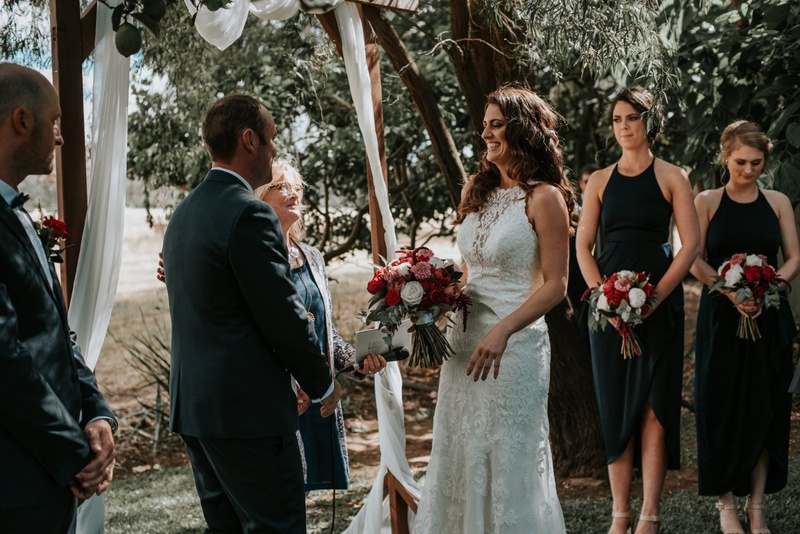 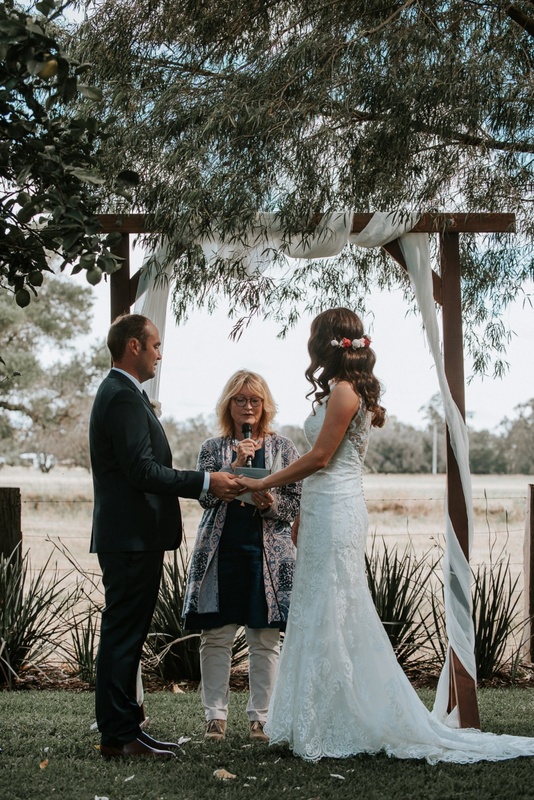 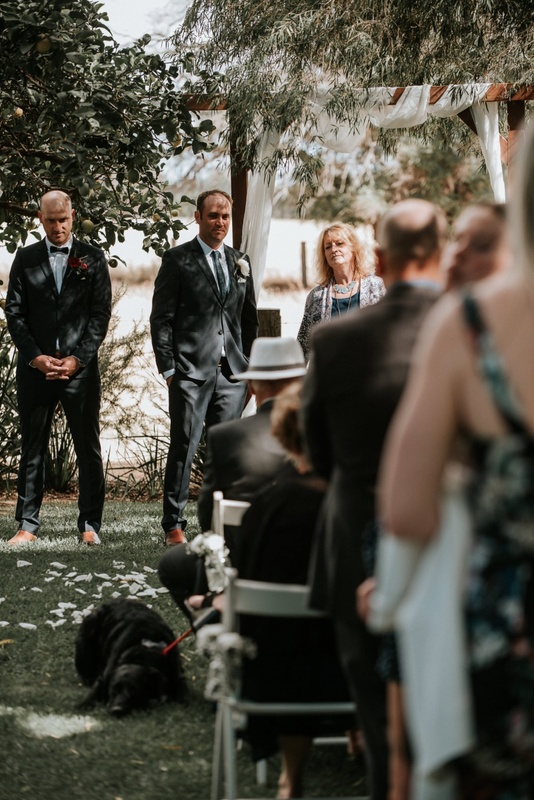 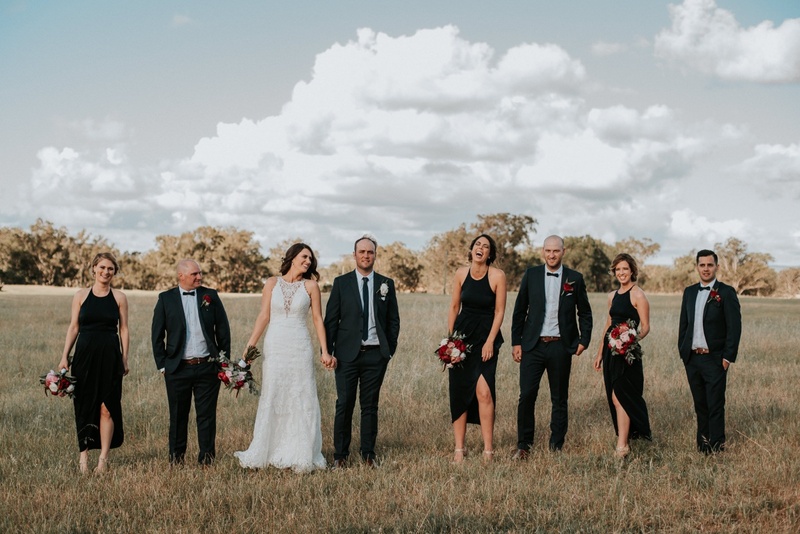 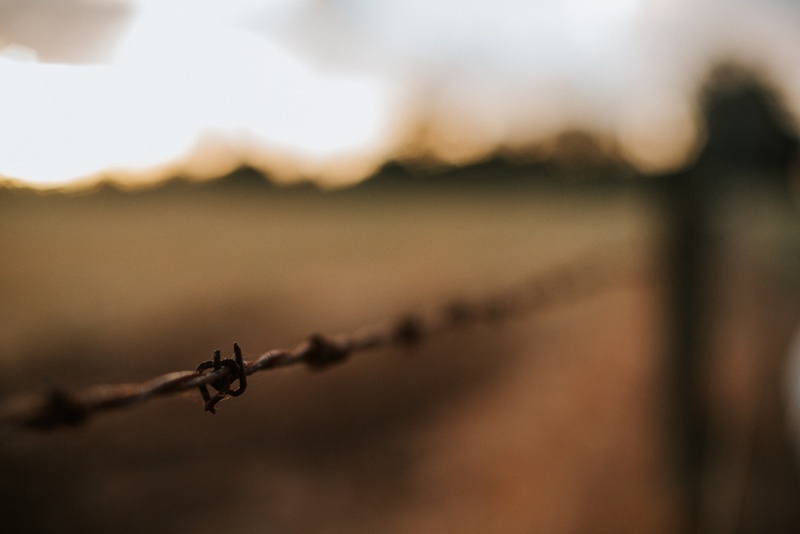 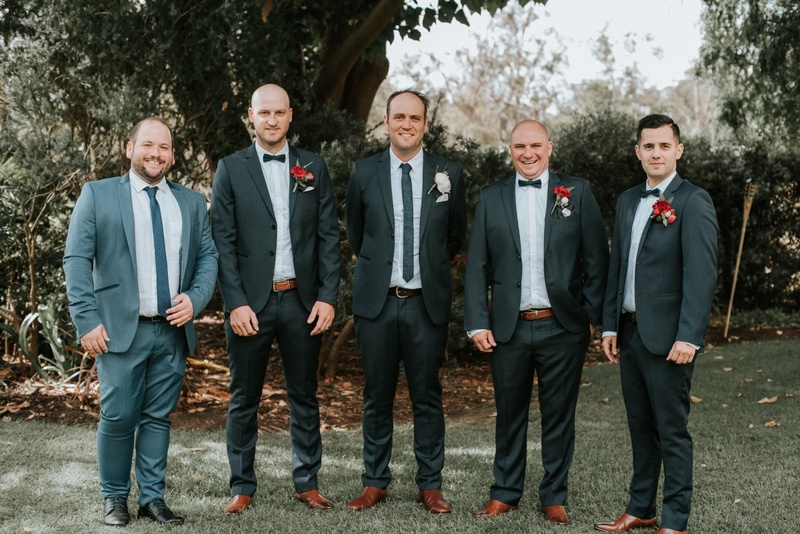 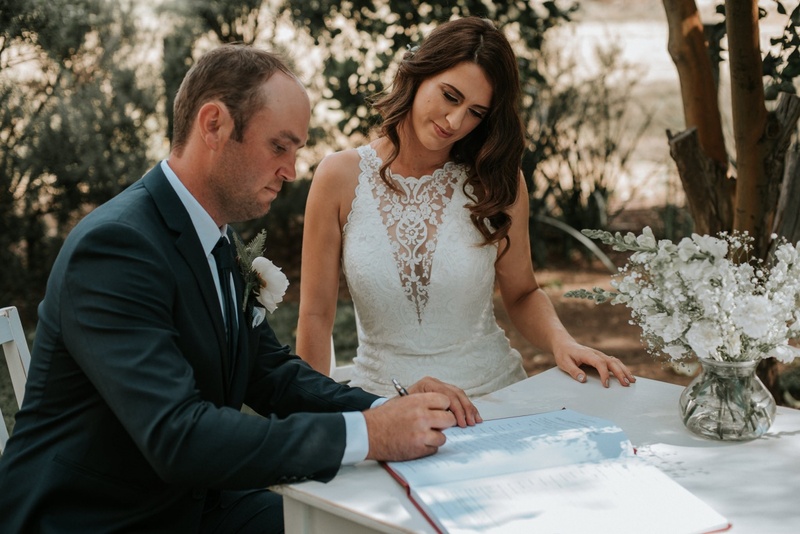 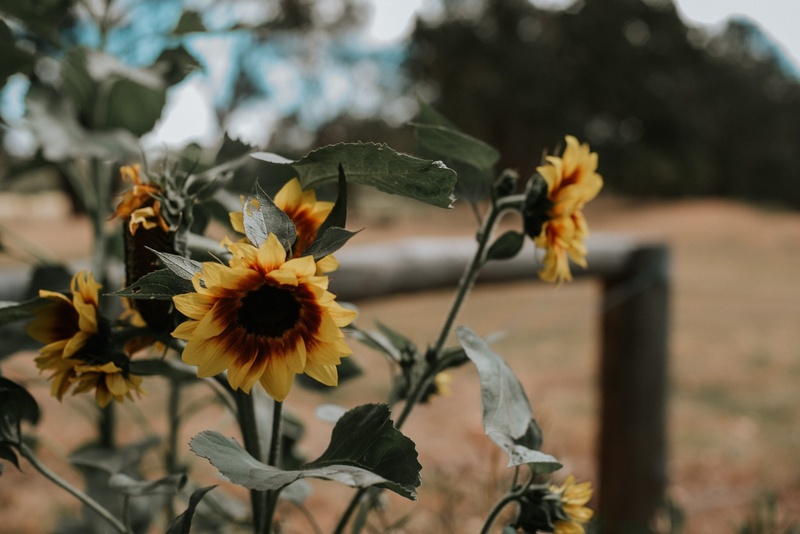 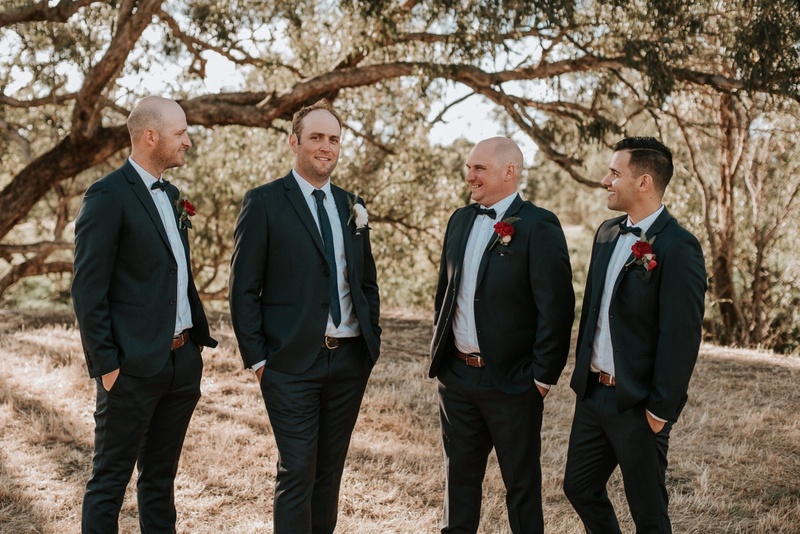 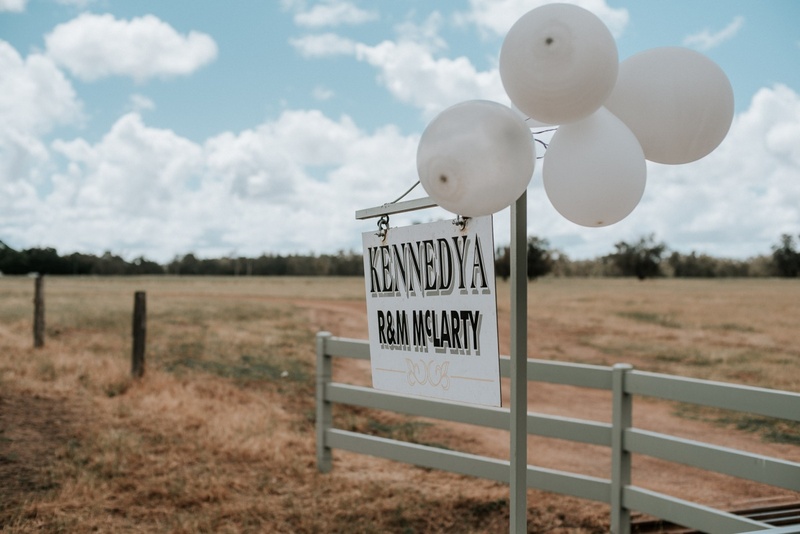 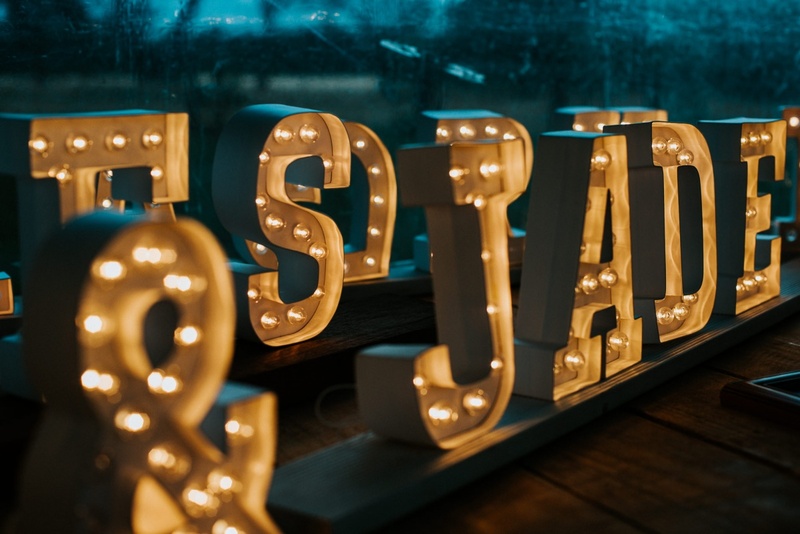 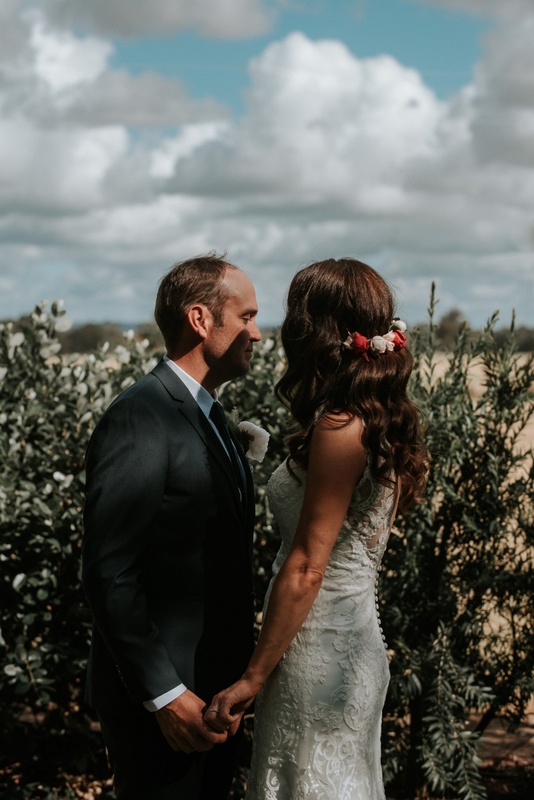 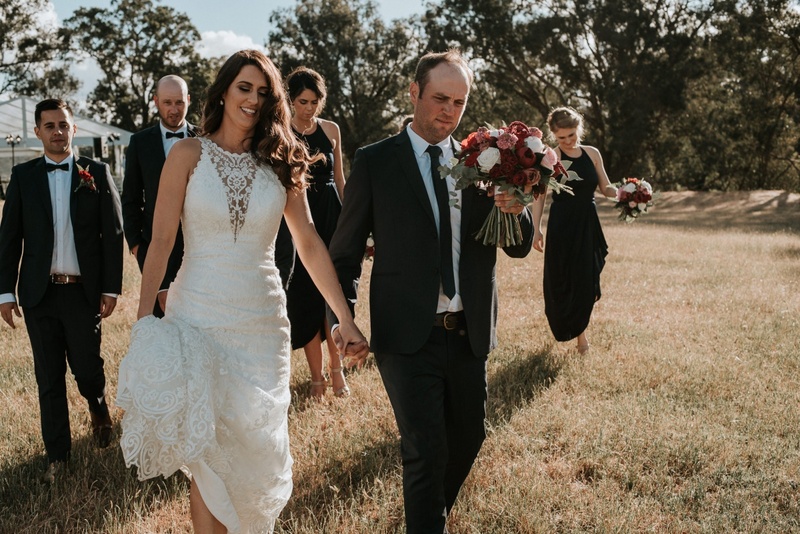 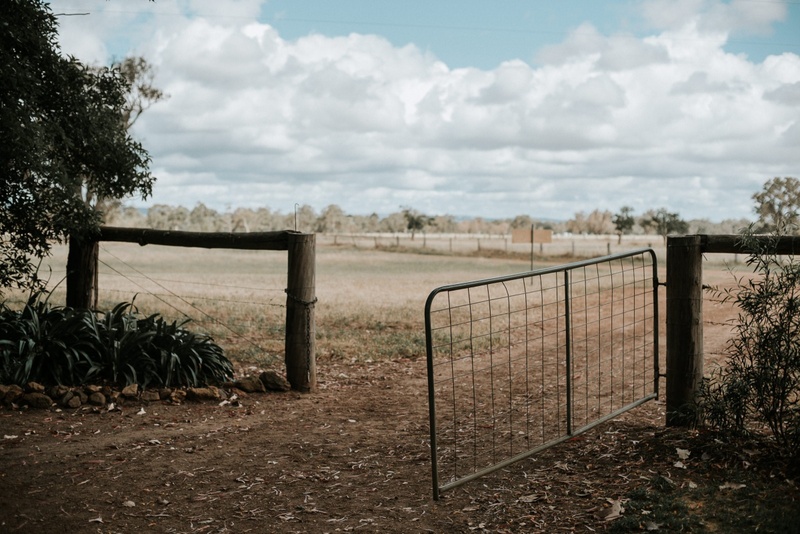 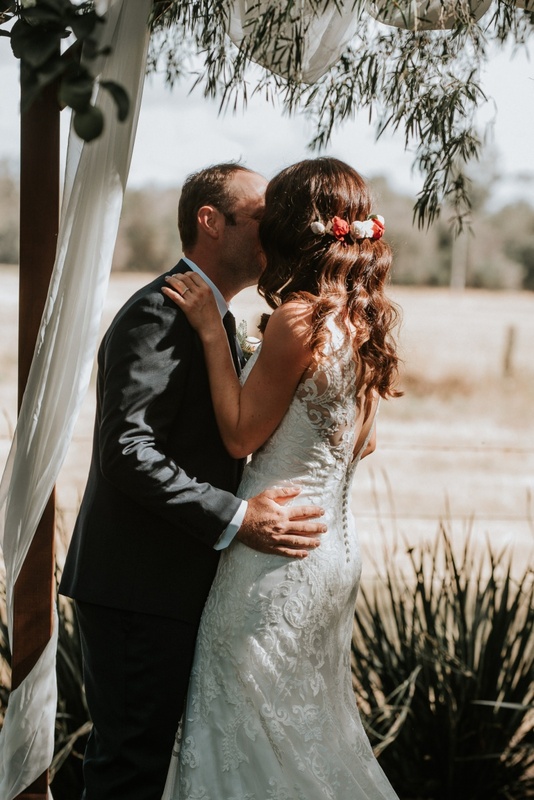 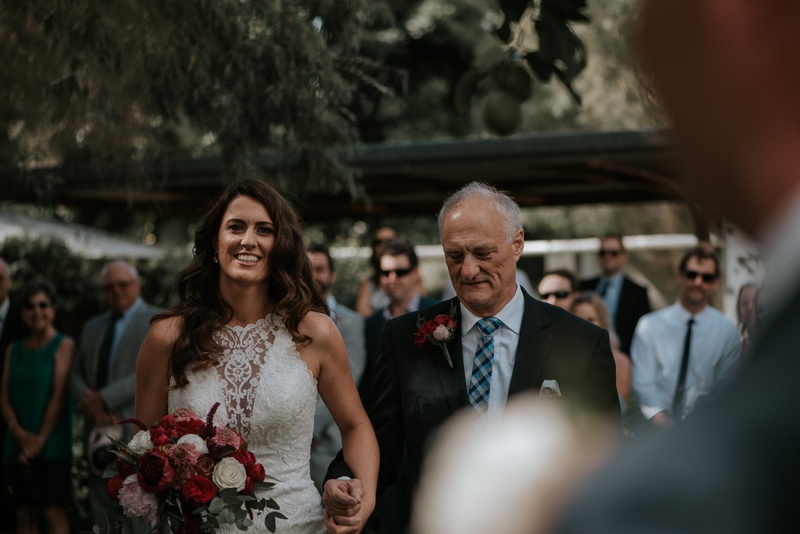 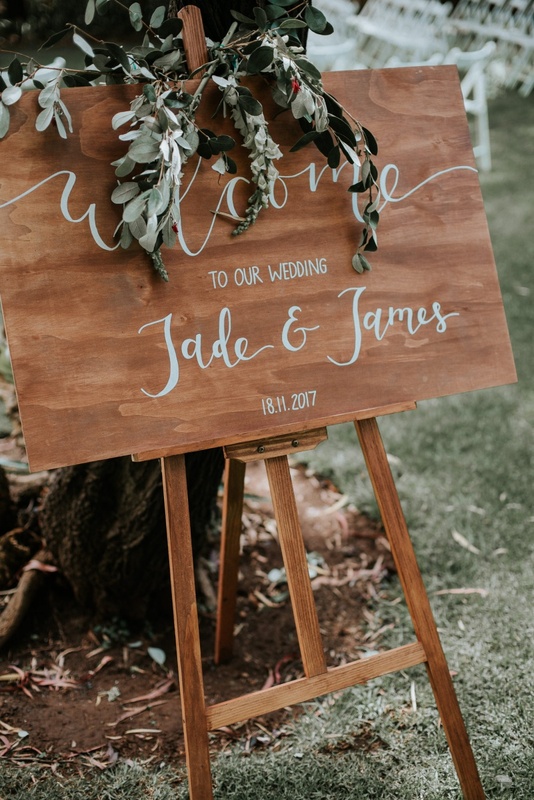 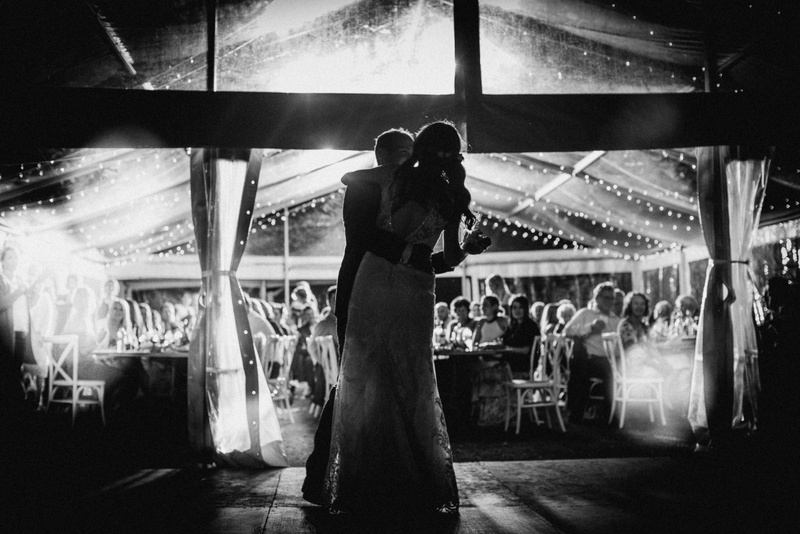 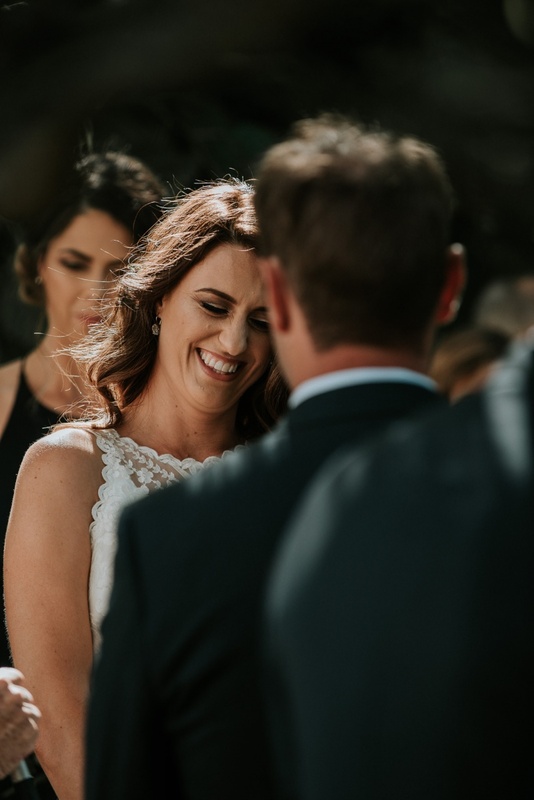 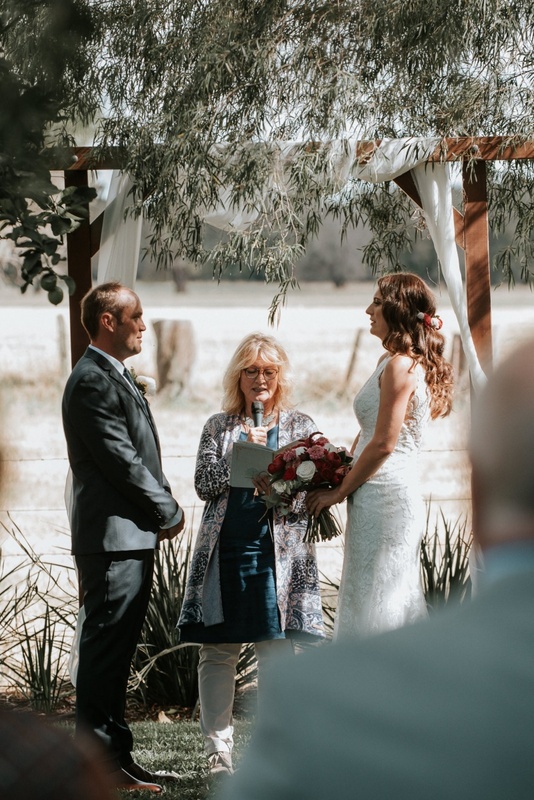 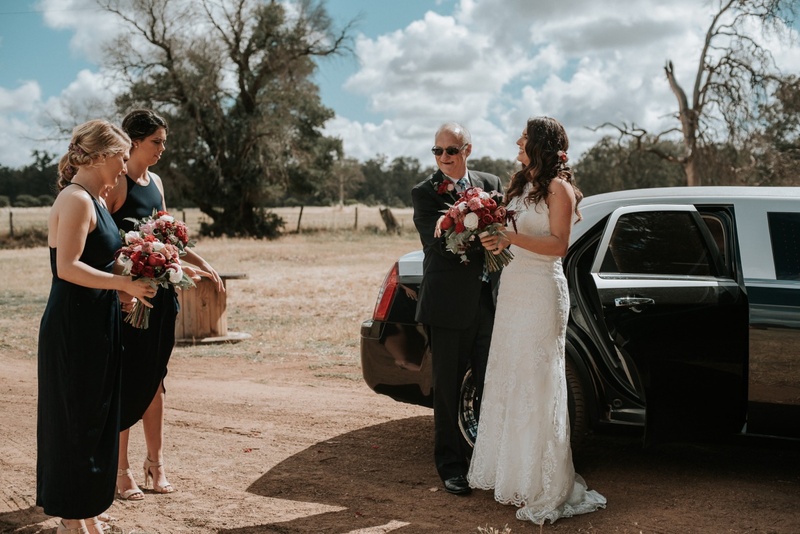 We first met Jade and James on James’ family farm, Kennedya, in Pinjarra. 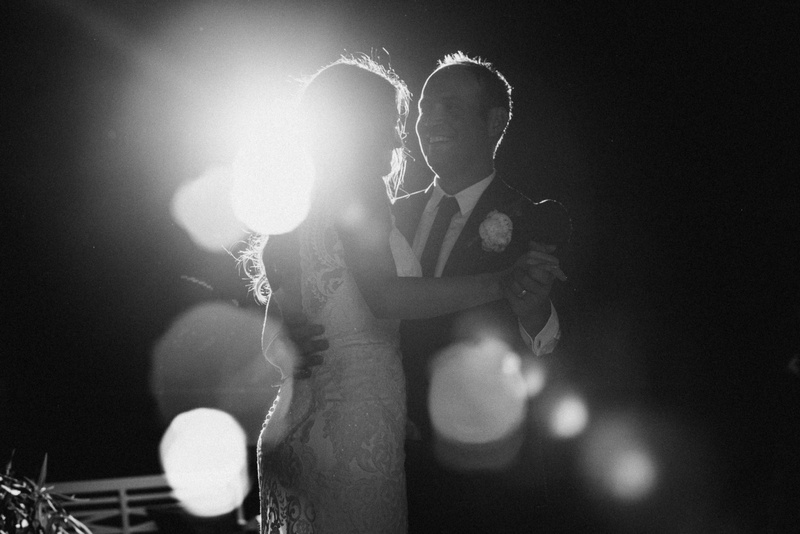 We were so excited to hear about their visions for their wedding day. 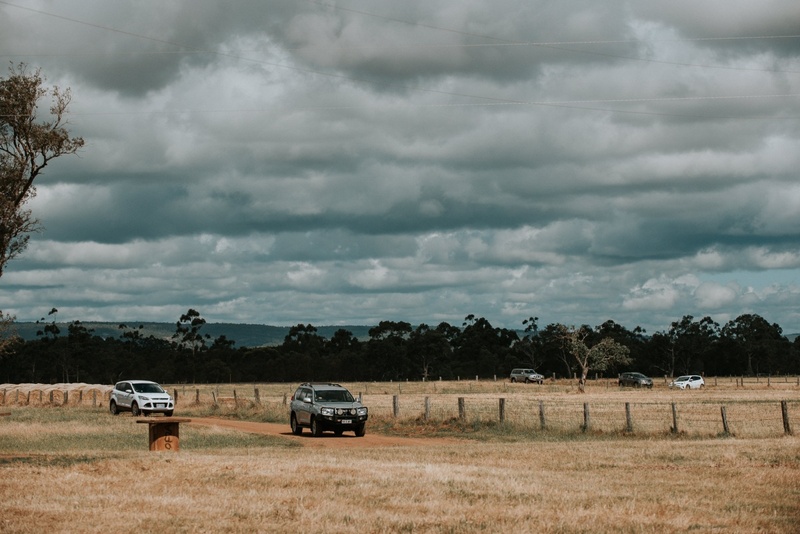 The farm was beautiful. 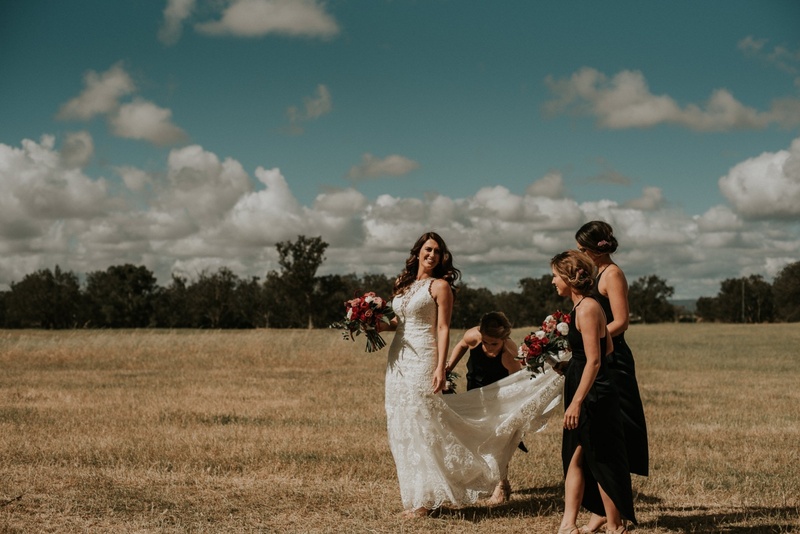 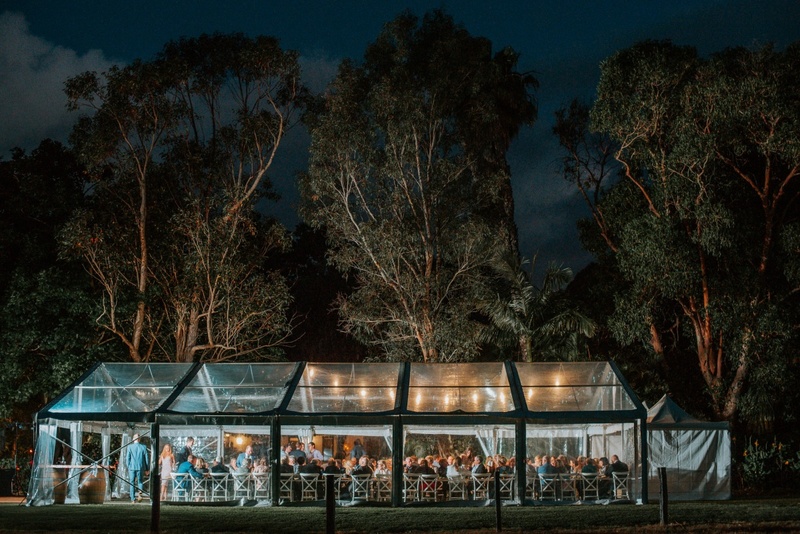 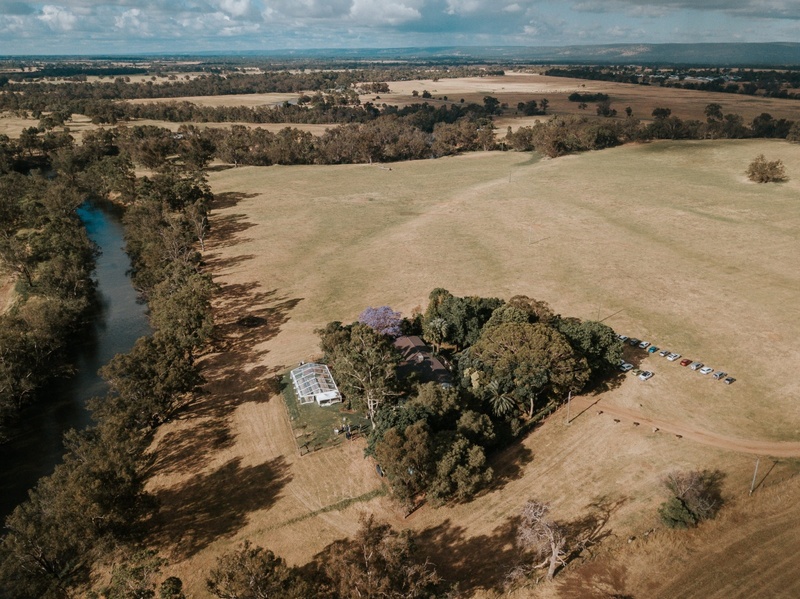 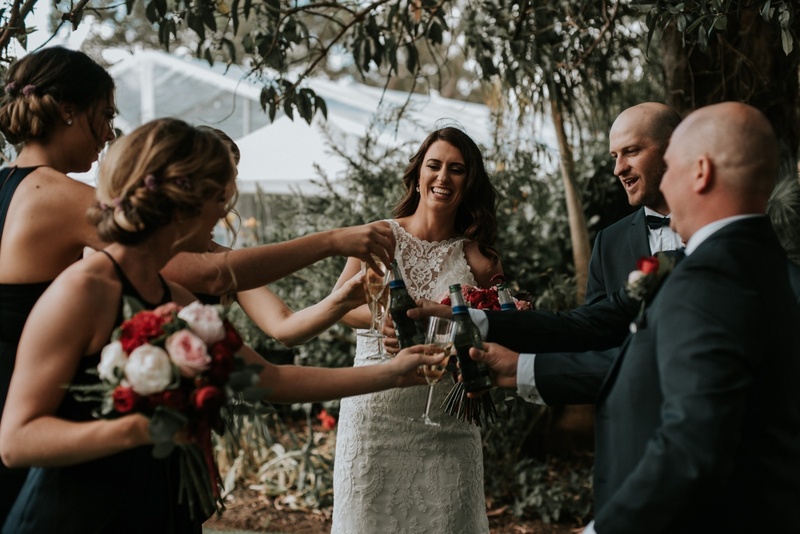 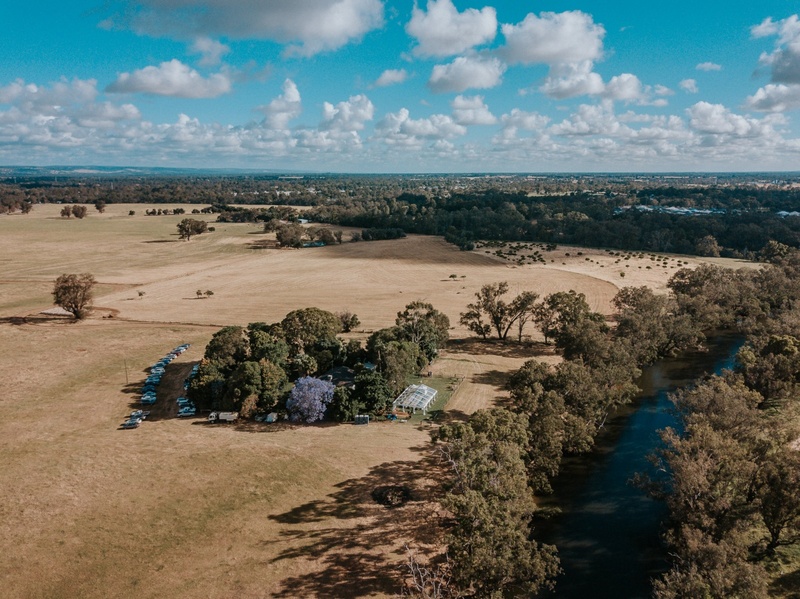 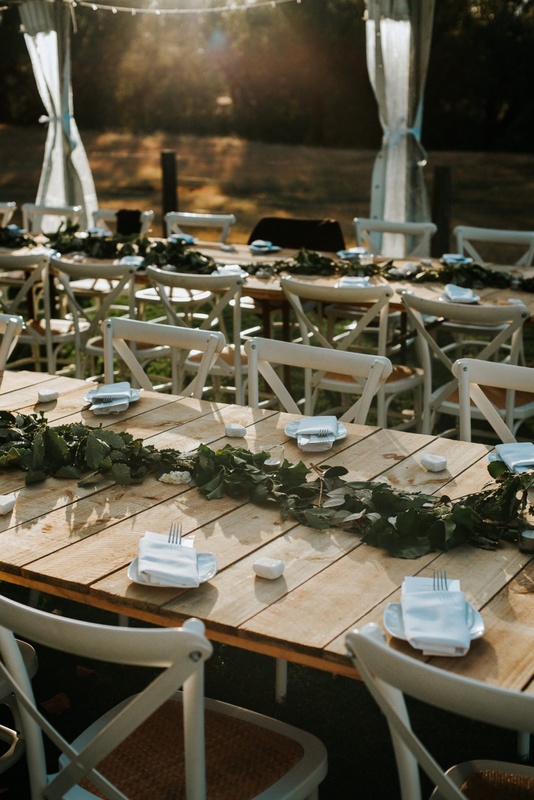 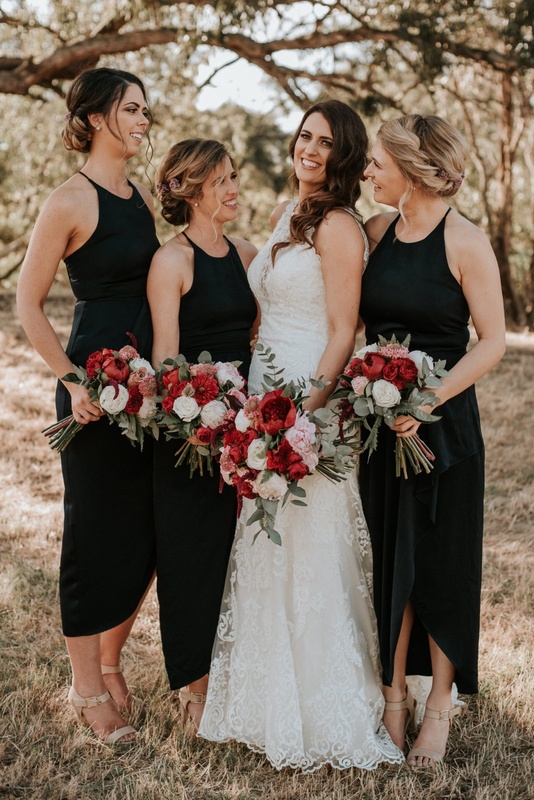 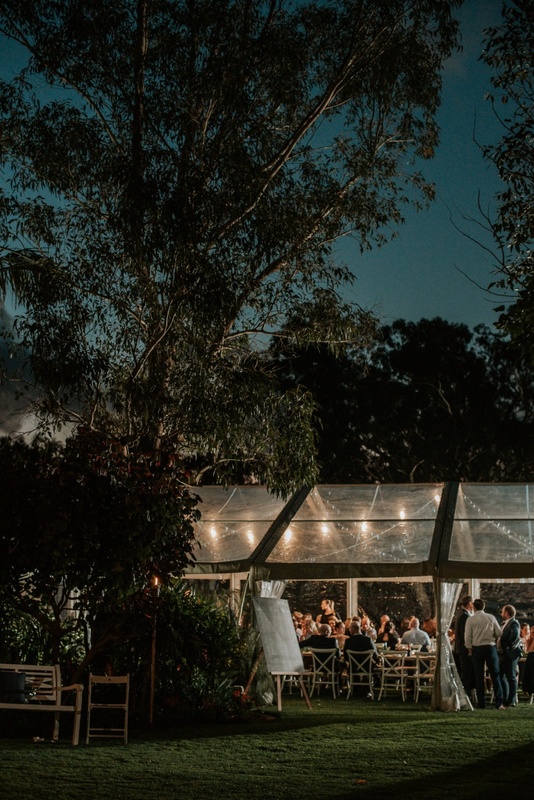 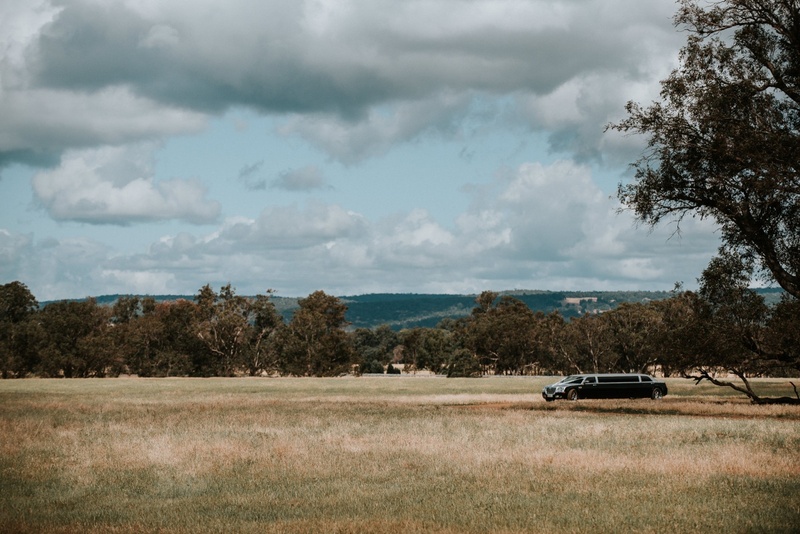 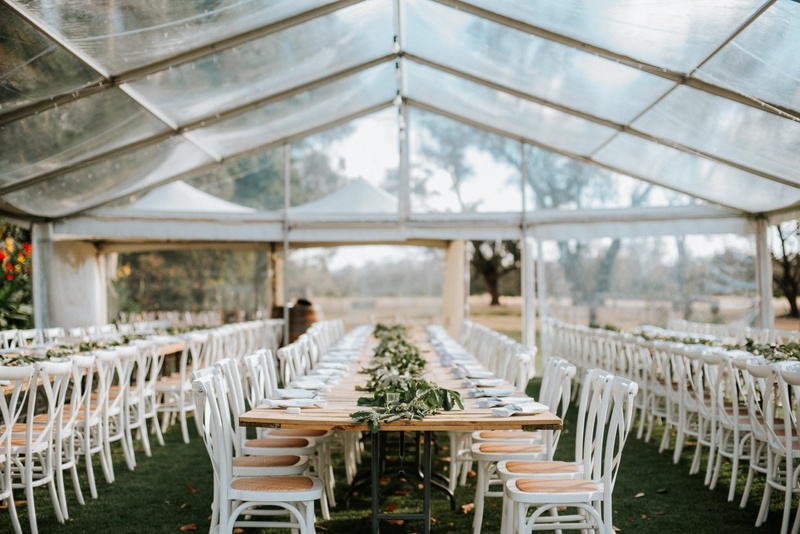 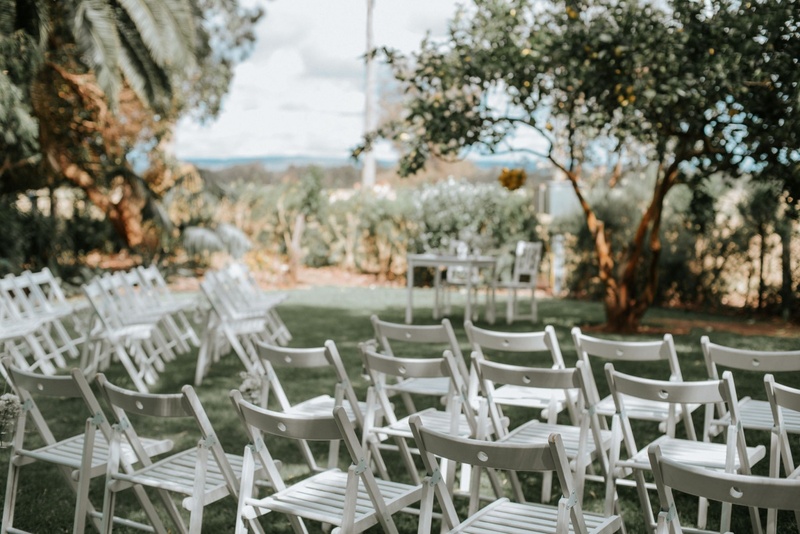 Lush green gardens surrounded the main house and with large paddocks, rusty sheds and The Murray River running through the back of the property. 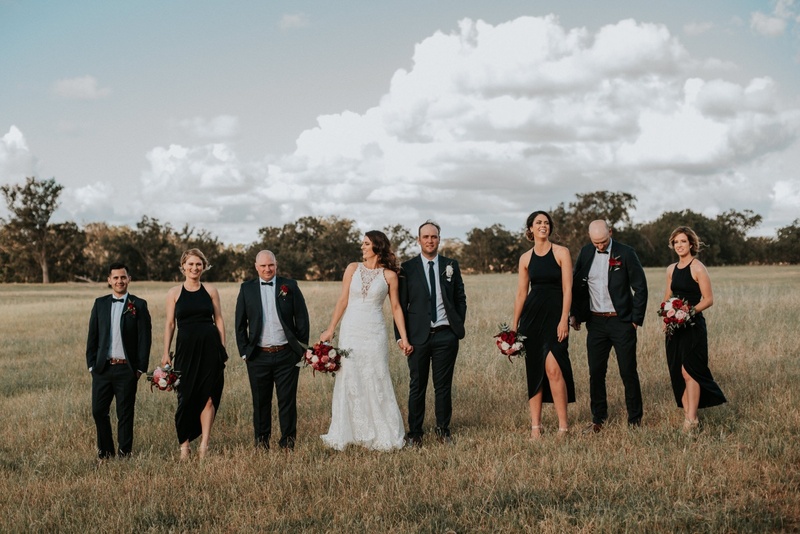 Our options for photos were endless. 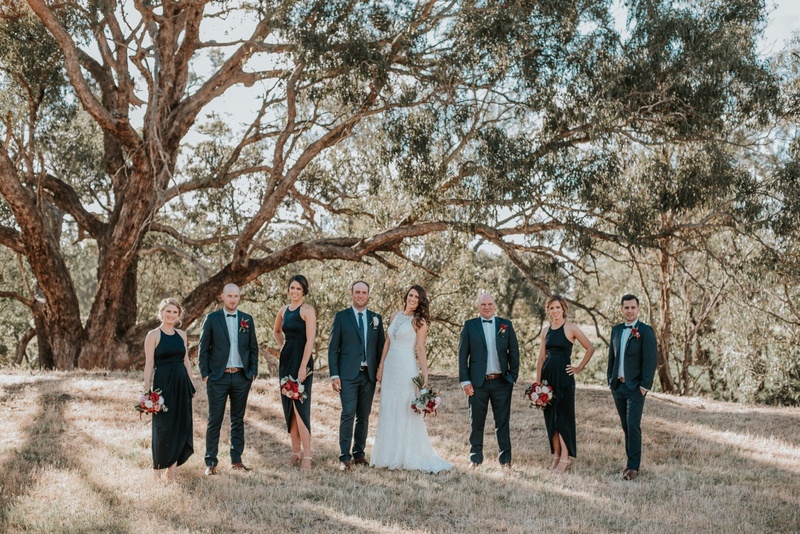 The wedding day arrived and it was HOT! 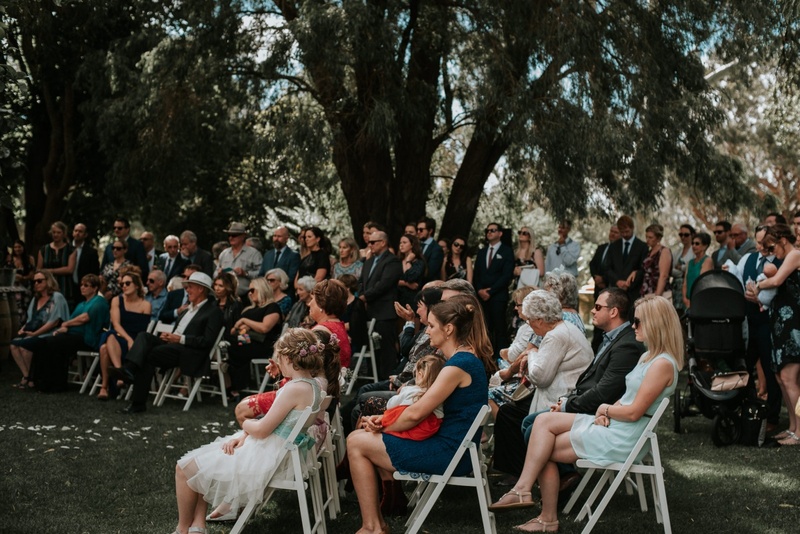 Fortunately Jade and James had a beautiful ceremony location under the shade. 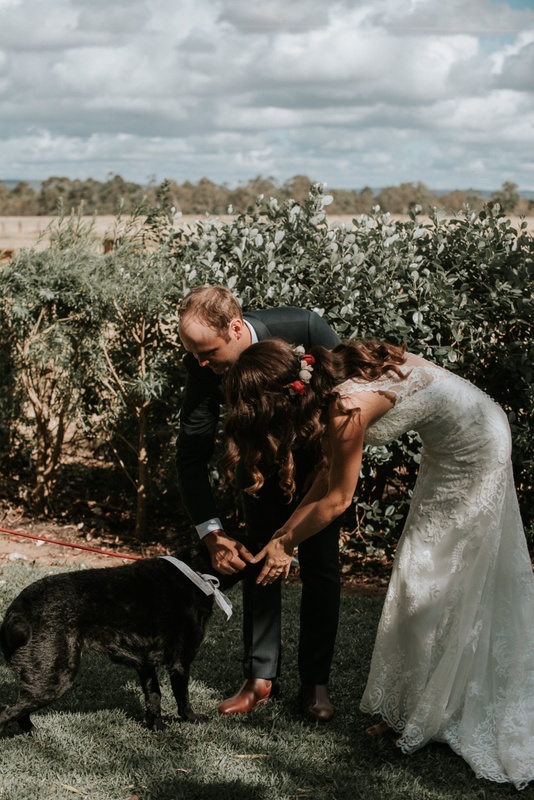 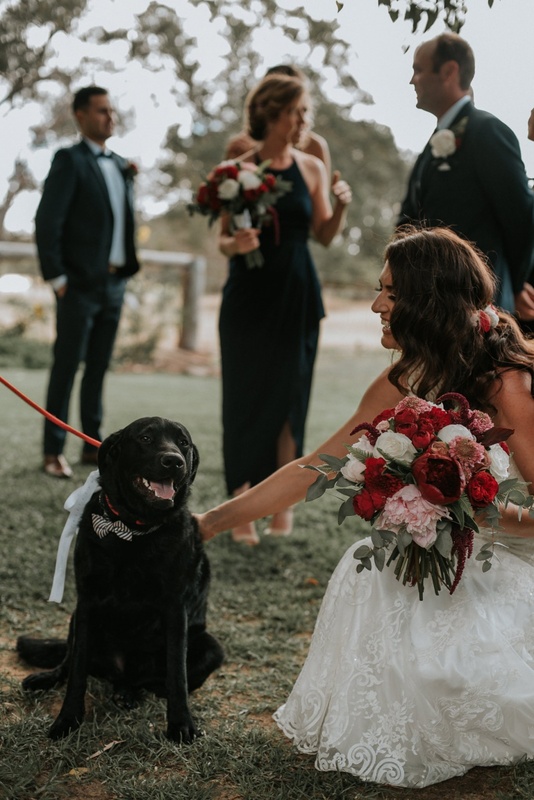 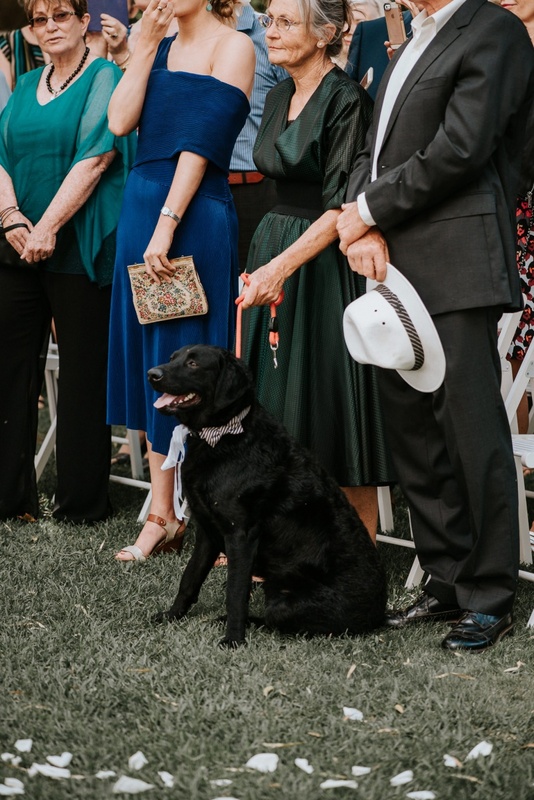 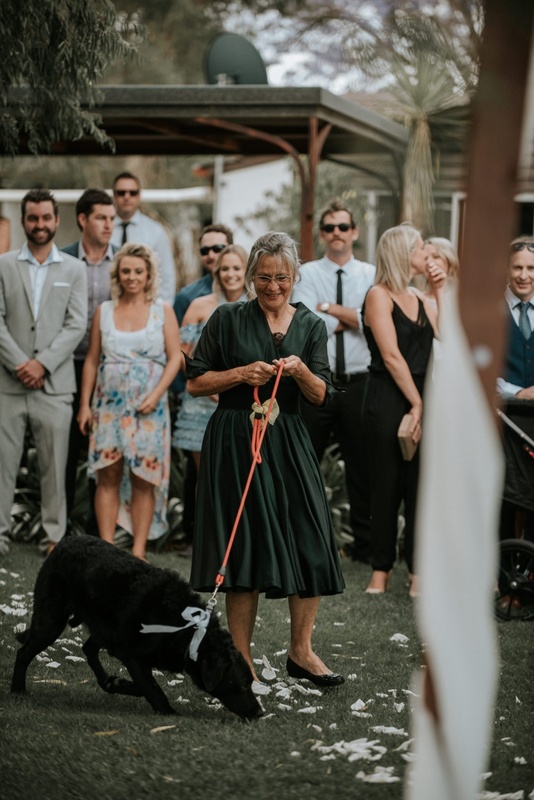 They exchanged their vows under the lemon tree much to the delight of their fur baby who watched on. 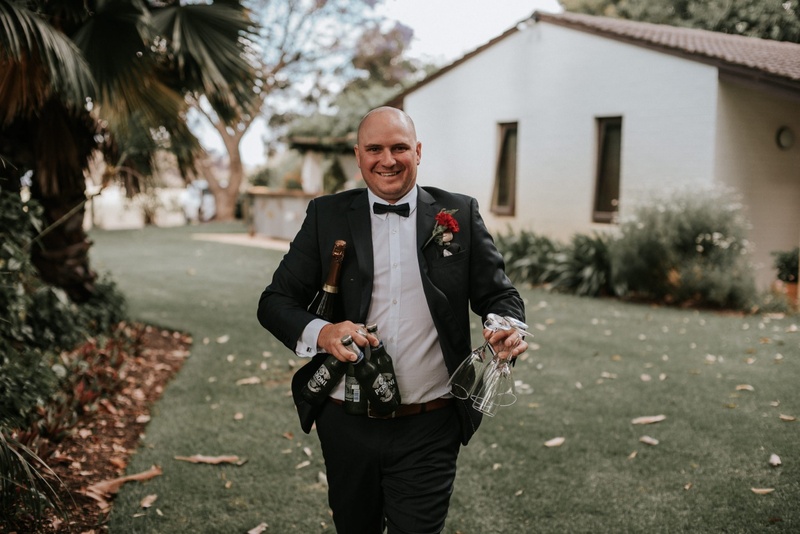 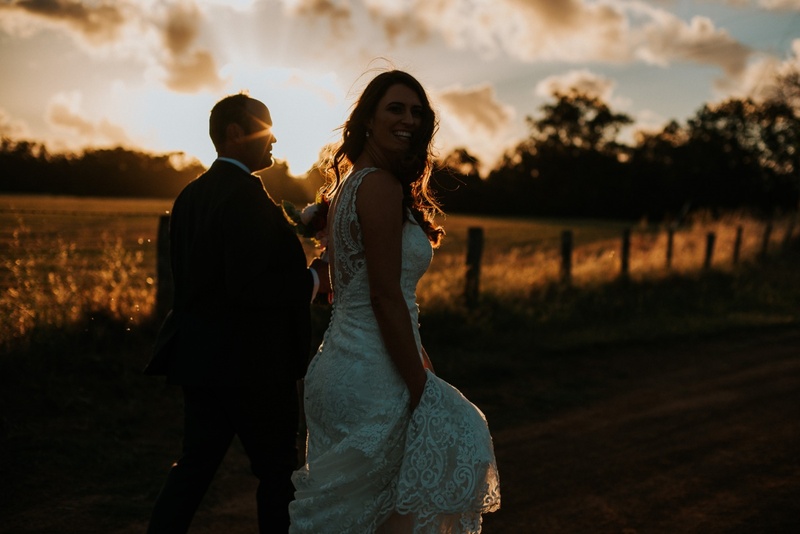 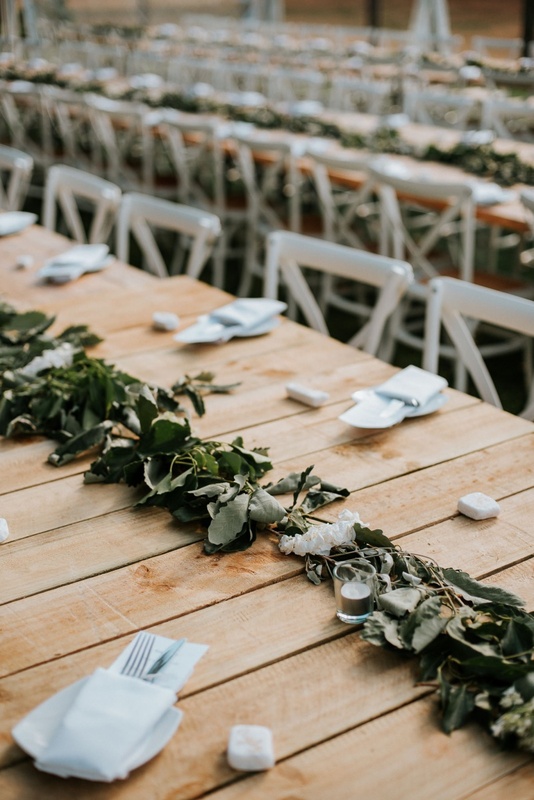 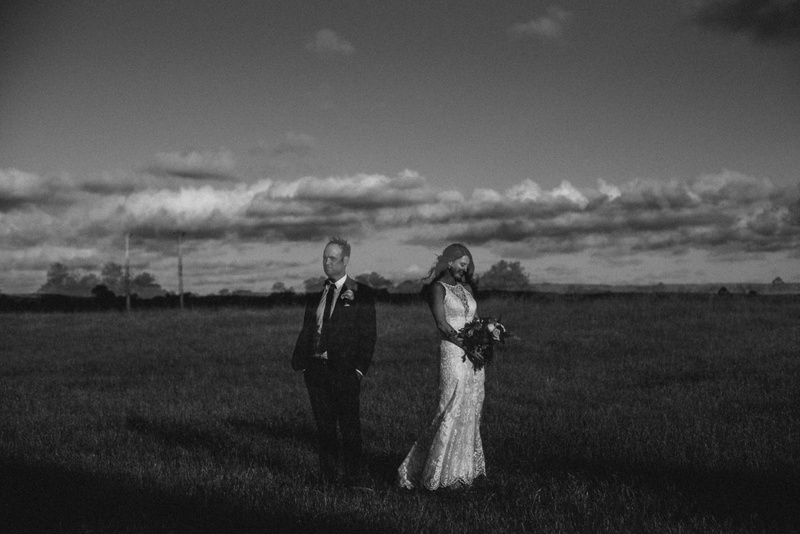 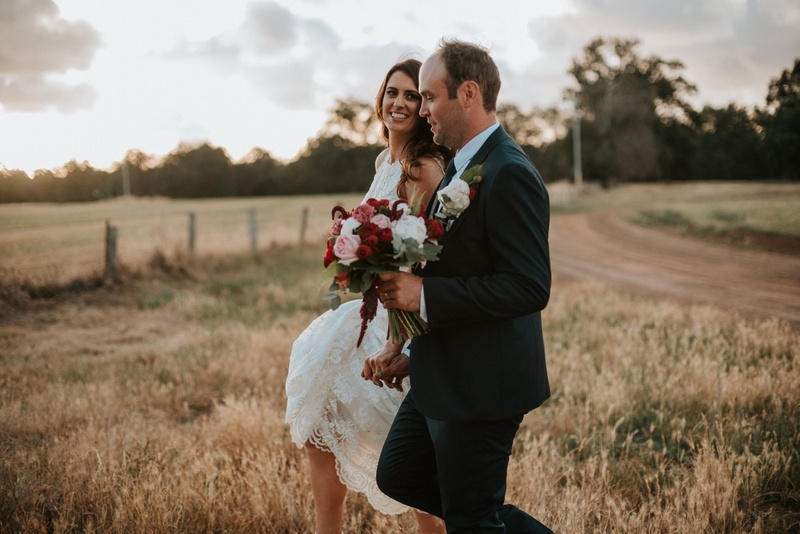 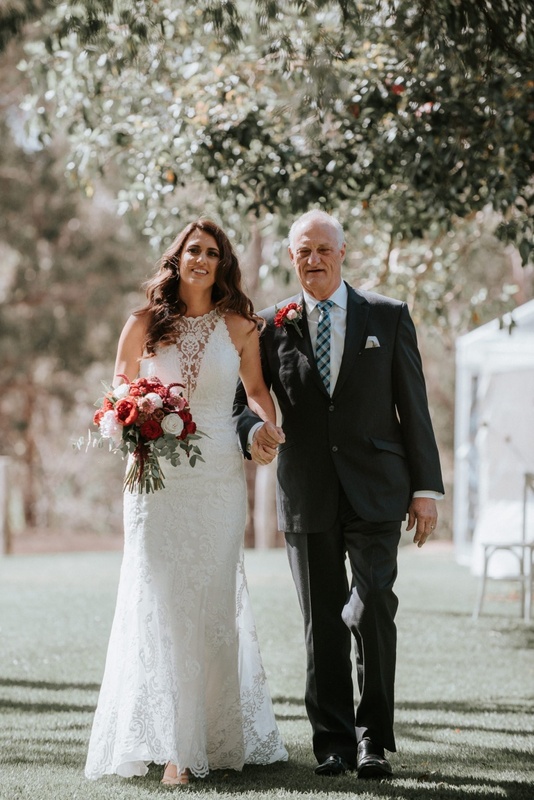 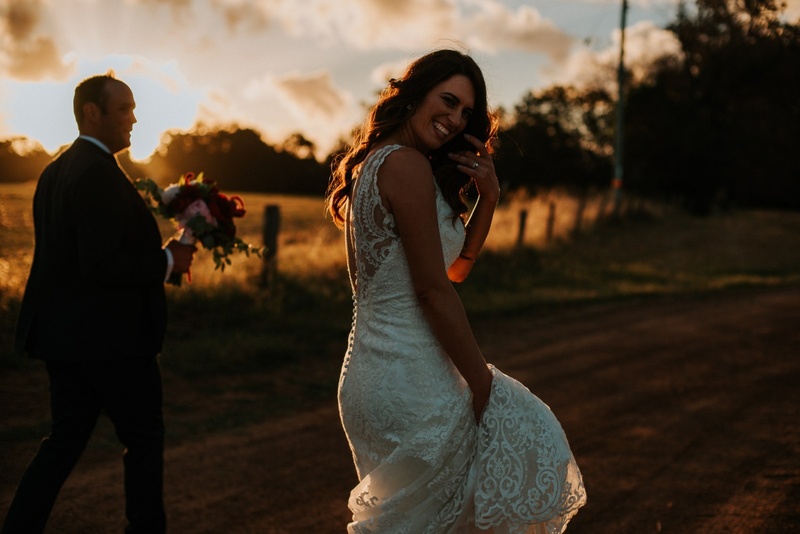 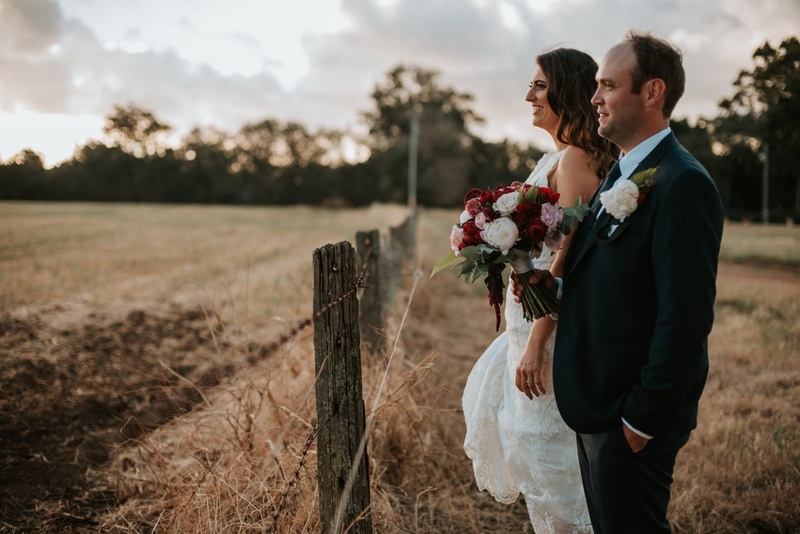 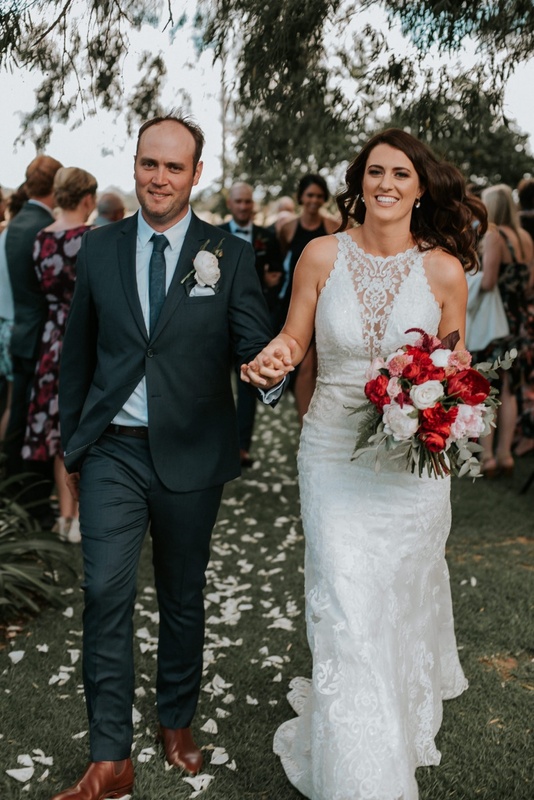 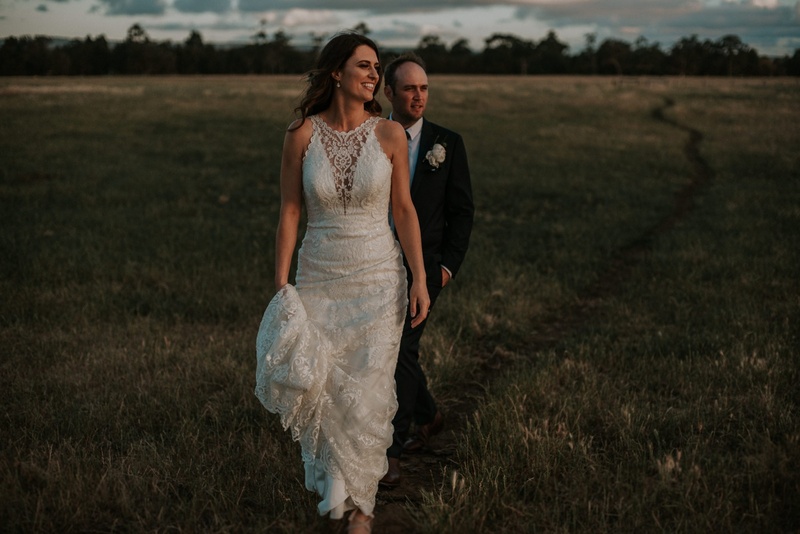 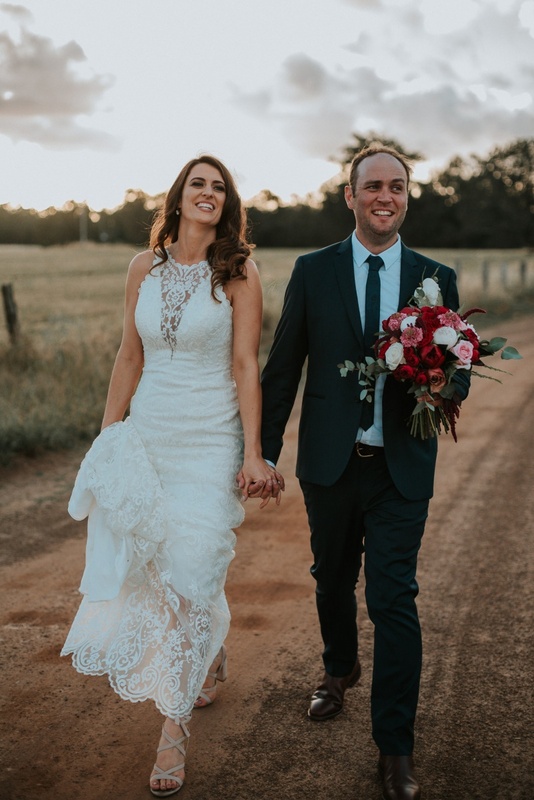 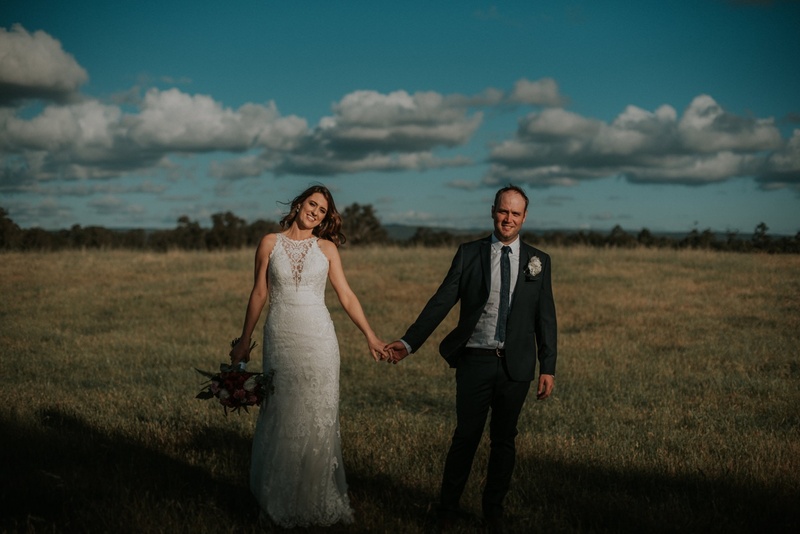 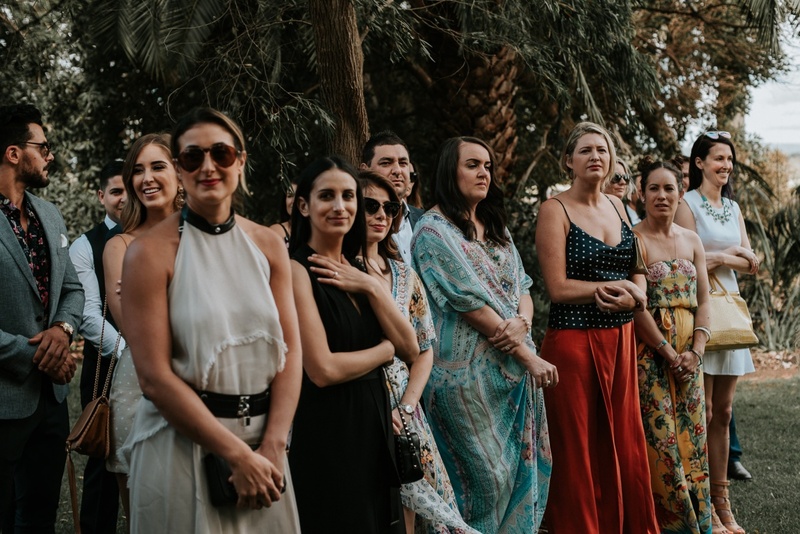 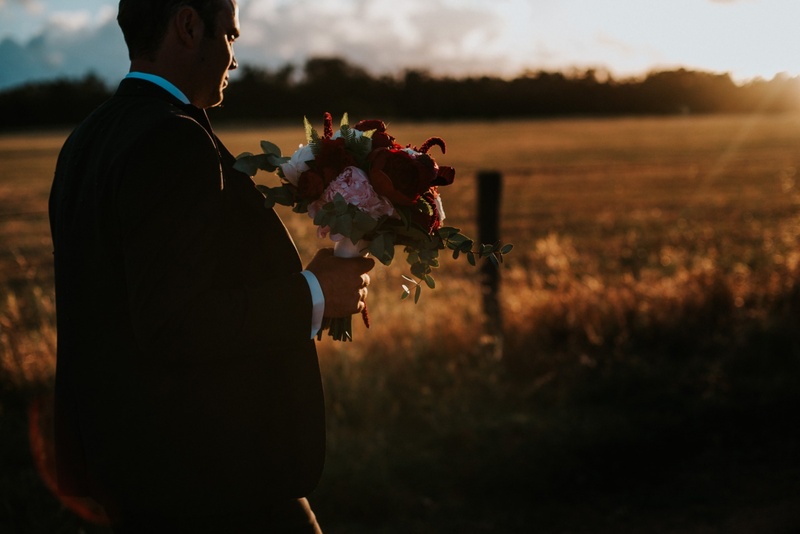 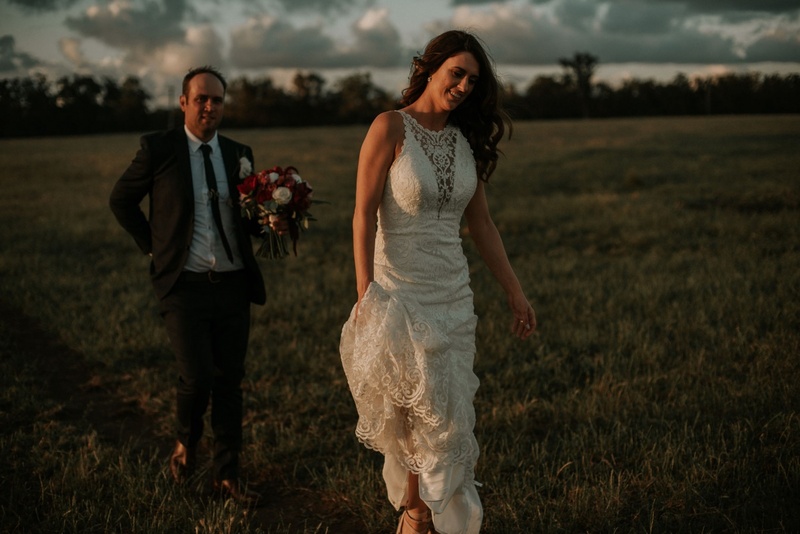 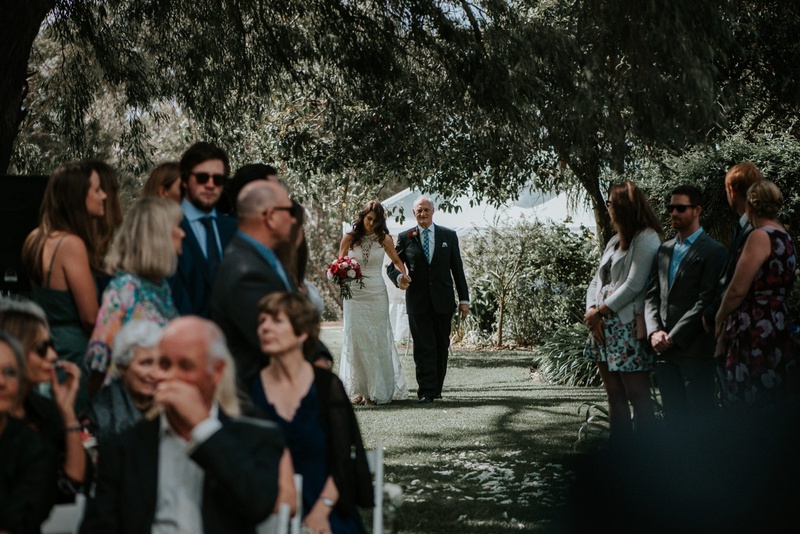 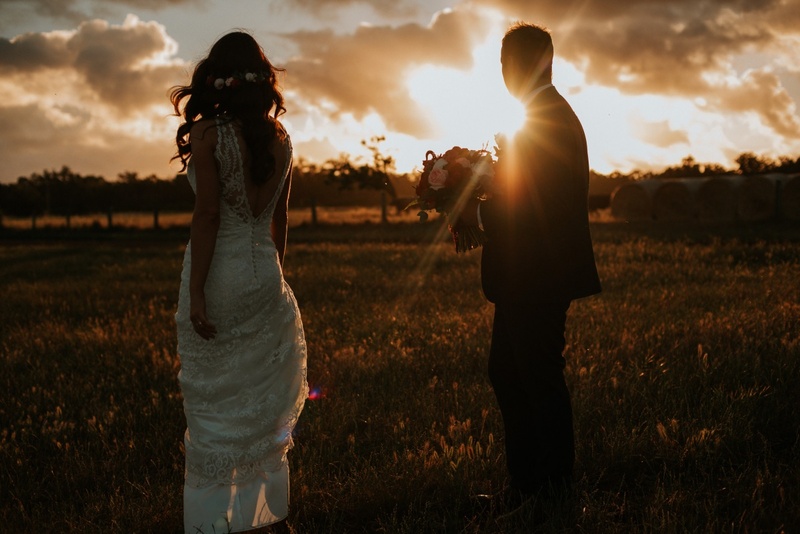 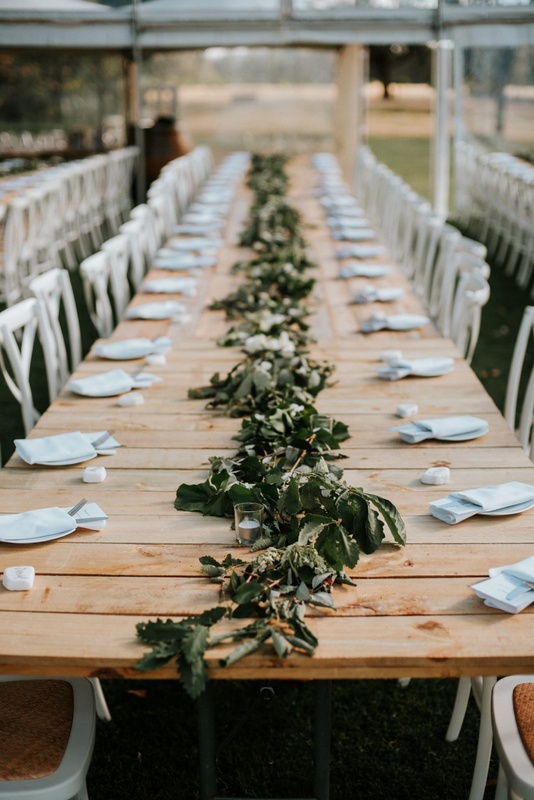 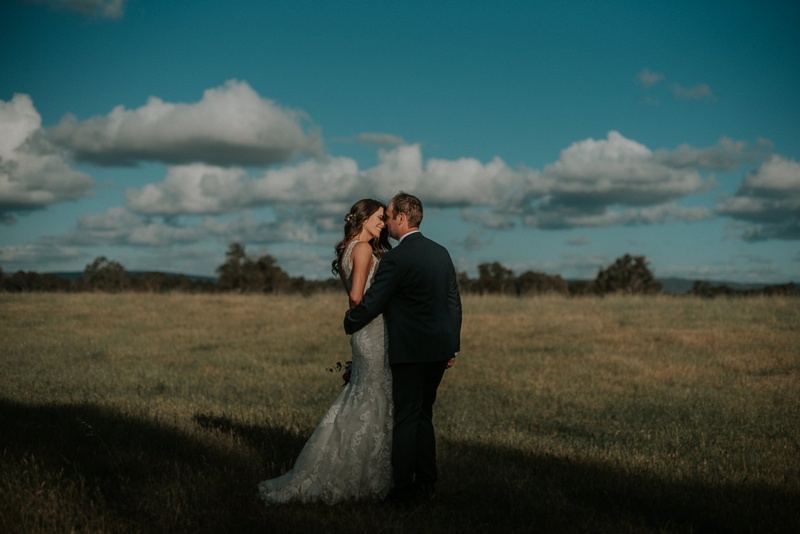 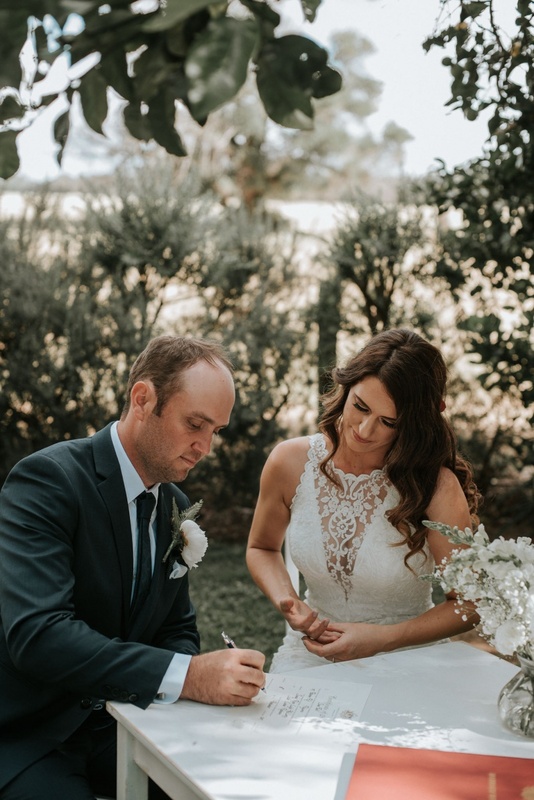 As the sun was setting and the guests were enjoying their canapés under the shade of the farm gardens, we took the happy couple for a wander through the paddocks, giving Jade and James a moment to reflect on their amazing day. 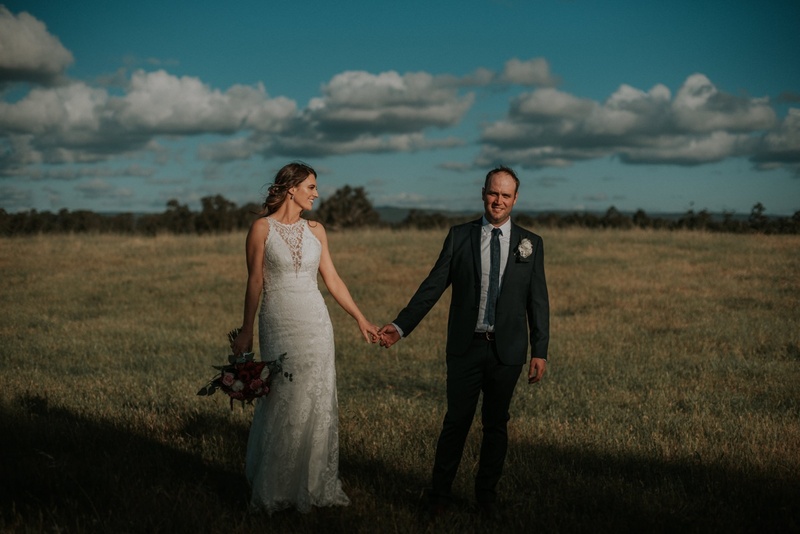 James, not normally a photo kinda guy, embraced his inner model and with the beautiful Jade on his arm, we couldn’t take a bad photo.